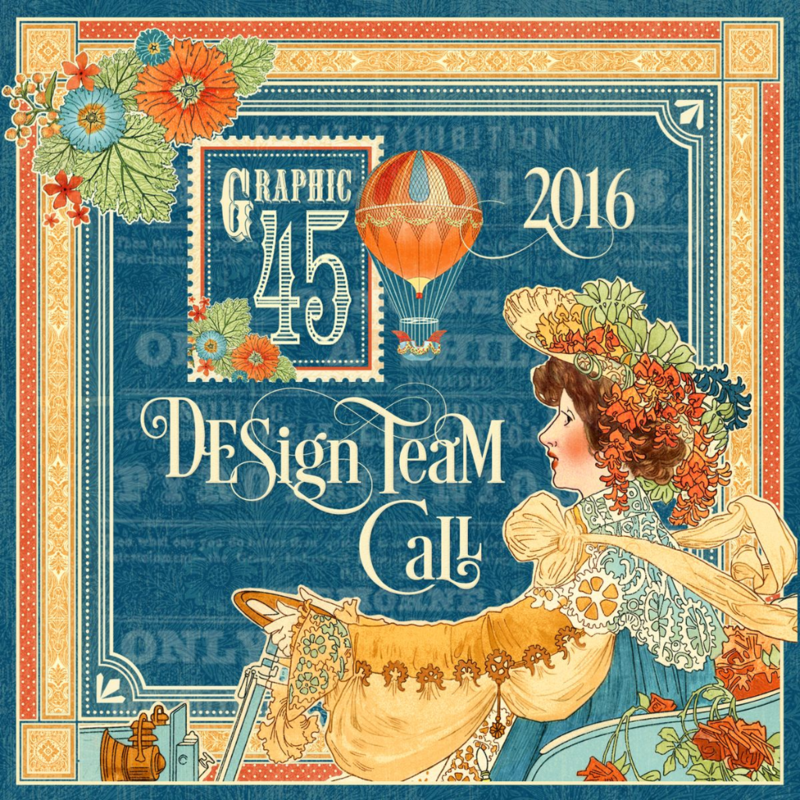 Pam Bray Designs: A Girl with Flair: "Graphic 45 Design Team Audition 2016"
Do you ever have something tearing at your soul!!! That is how I feel about trying out for Graphic 45 Design Team!!! If I had to say that there is a paper company I couldn't live without it would be Graphic 45!!! after all this would be my fourth year trying to make the team!!! You love what you love and I love Graphic 45!!! I will always continue to create and share my projects with you, Graphic 45 and anyone else that would love to see my creative pieces. I feel like I am already a stealth designer for them, lol. HERE ARE THREE OF MY FAVORITE PROJECTS!!! NOW IS THE TIME FOR MY FAVORITE !!!! I would love to share with you my Halloween Carousel!!! it is full of Graphic 45 love of Halloween!!! I was honored to have it as part of the 10 Finalist for the Crafty's!!! As well as the piece I created for my Guest Designer spot for Graphic 45!!! when I seen the Rare Oddities Collection I was so inspired. I also knew I would be using Eileen Hull's Vintage Trailer Die!!! I want to make a Haunted Vintage Trailer Park but knew I had to have it contained in one piece, so I decided to make a carousel. I went to my local craft store and picked up a circle chipboard piece, two wreath chipboard pieces, a Halloween Hat and a Clip Carousel Base. I was so excited when I got home and seen they fit together perfectly. (I did end up taking the top part of the carousel off as I began putting my project together. I began by first covering the circle and wreath with Rare Oddities pattern paper using Xyron Glue Sticks. Add the the Clip Carousel bottom and base to the center of prepared piece. I cut out 6 of Eileen Hull's Vintage Trailer Dies using mat board, repeating with pattern paper from the Rare Oddities and Steampunk Spells Collection. I ran all the pattern paper die cuts through my Xyron Creative Station and covered the vintage trailer mat board pieces. Add borders to the trailers along with chipboard pieces that match the Rare Oddities or Steampunk Spells collections for the doors. Place plastic skull heads to the base for legs. Adhere fall foliage and berries throughout the piece. Place the decorated Vintage Trailers on spools that you have covered with pattern paper and wrapped with twine to form bows. Also... add twine around all the vintage trailers to give them a finished look. Don't forget to look closely at the gorgeous Rare Oddities and Steampunk Spell pattern paper because you will find lots of pieces that you can fussy cut out, layer and add to your project. I fussy cut pieces from the pattern papers to make my banners for my Haunted Trailer Park Carousel. place them on your carousel. Along with paper punched flowers and leaves that you can cut die cut from the pattern paper. Don't forget to add more of the twine bows here and there. Make sure to check out the Fall/Halloween sections at your local craft store, you will find some fun items to decorate your vintage trailers with. These fun plastic spiders are also a wonderful addition. Add a few more of the die cut flowers and leaves to the hat to dress it up. Along with a pumpkin hot air balloon. Add flowers, windows, or other fun things to the back of the vintage trailers. Begin by covering the chipboard hat and chipboard wreath with pattern paper from the Graphic 45 Rare Oddities and Steampunk Spell Collections. Once covered hot glue over tulle on bottom layer of carousel. Begin adding the last two Vintage Trailers that you have decorated with pattern paper and embellishments. I found this small Halloween Pumpkin and added it to the top of one of trailers, adding a fussy cut bat from the Rare Oddities border paper. Die cut a couple of Eileen Hull's 3D Blocks and decorate them to add to the top of the carousel. Make sure to fill the top one with some fabulous fall foliage and another one of Stampendous Doodle Bats. Add a pretty tulle bow to the hat and other fun Halloween embellishments. 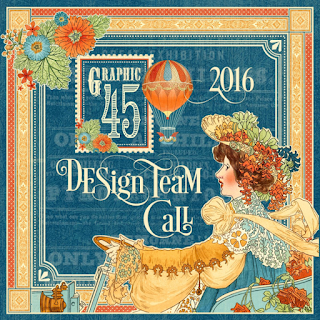 I love how you can always combine Graphic 45 collections together and they look amazing. Make sure to cut up the skeleton into pieces and add them all around your carousel...I love how it just makes it look so haunted. Finish your Haunted Vintage Trailer Carousel by adding a fence around the top and bottom of your piece. and some fabulous metals to the top. I hope you enjoyed my ALL my love of Graphic 45!!!! I will be waiting to see the 25 finalist that will be selected. Wow Pam, your projects are beautiful! Good luck on your audition for graphic 45! I knew you would go for it again this year! Your love for the product shines thru! Best of luck, Pammiejo! I hoped you would try out again, Pam. I think your work is amazing, and your imagination is fabulous and so creative. Good luck and I am rooting for you! Congrats on making the top 30 in the first round this year! I've followed you for some time now and love your designs. Good luck in the next round! CONGRATS PAM! I am so excited for you. Getting closer ;) GOOD LUCK! Congrats on making it to the next round! You are an amazing artist and G45 would be lucky to have you design for them! Fabulous dimensional and detailed work! Congratulations on making the Top 30! Love your haunted village! Amazing! All are fabulous projects! Congrats on being top 30 and best wishes and good luck! Big congrats on making the top 30 and bests of luck in the finals! Congratulations on making the Top 30! Congratulations on top 30 and best of luck!